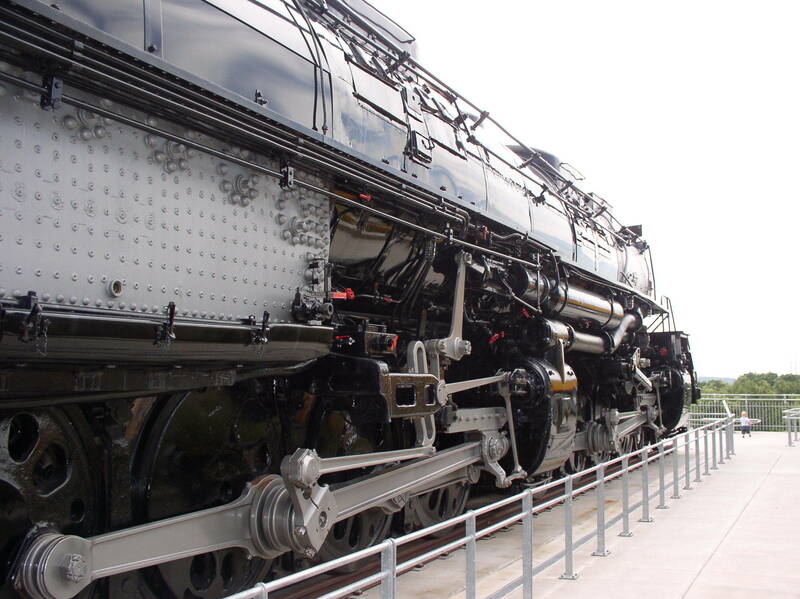 The two year old future railfan, standing next to 4023, makes the Big Boy appear even larger. Located at UP's Kenefick Park in Omaha, NE. Added to the photo archive by David Rath, November 6, 2018.